Steiner sets the new standard for DMR riflescopes by entering the digital world. 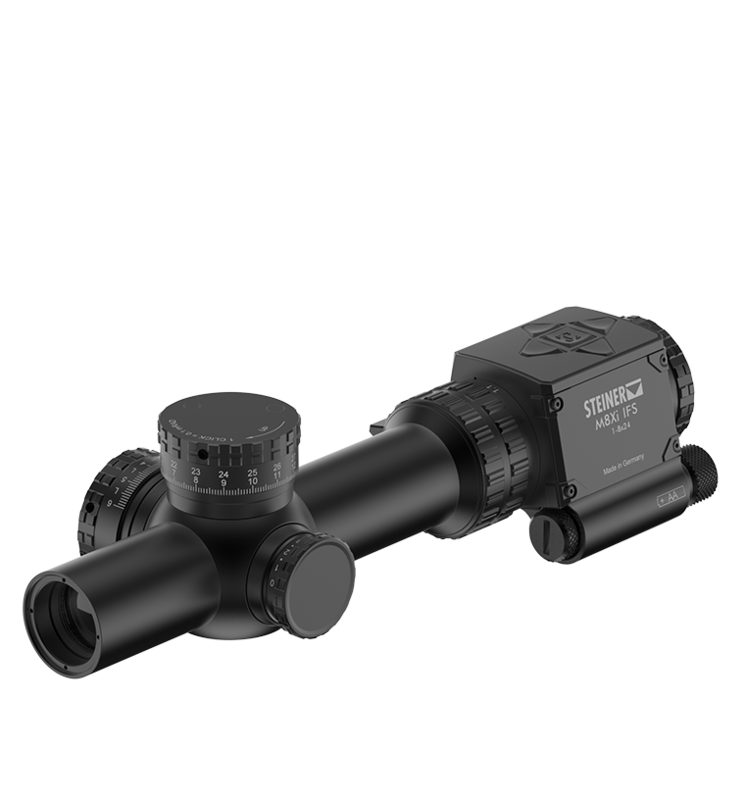 Based on the outstanding success of the M5Xi - used today by Special Forces around the globe - Steiner sets a new benchmark with the ultimate DMR (Designated Marksman Riflescope) M8Xi IFS 1-8x24 with an 8x zoom and an outstanding field of view (4,8-34,2 m at 100 m). Intelligent Firing Solution with integrated customizable display always provides all the important information in real time to the operator. The built in Ballistic Calculator and Sensor Suite determines the bullet point of impact in real time (temperature, air pressure, inclination, wind drift). The display provides information about levelling and the current turret setting. The new M8Xi IFS 1-8x24 has been designed to resist the toughest conditions, It is of course covered by the Steiner 10 years warranty for optical parts and 2 years for electronics. The 8x zoom gives the operator more flexibility and a higher resolution from close quarter to mid-range scenarios while the large field of view and the outstanding optical quality create a perfect overview of the surroundings at all times.